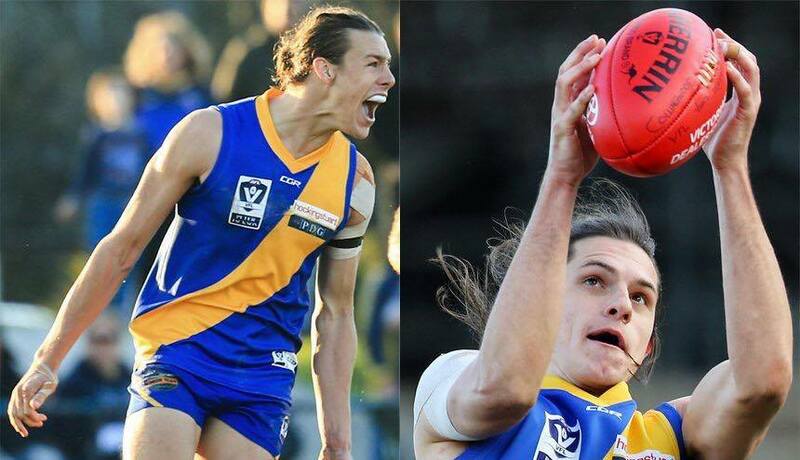 Talented young forwards Christian Buykx-Smith and Tristan Davies have re-signed with the club for the 2018 season. 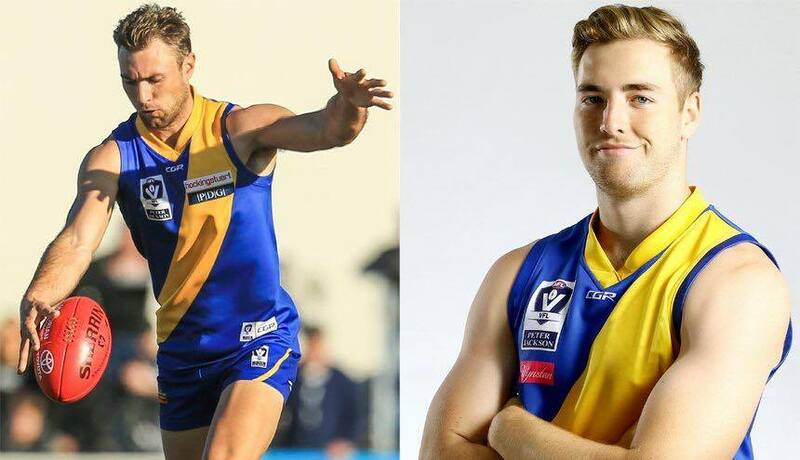 Ex-Western Jets graduates Jack Dorgan and Billy Myers have re-signed with the Club for the 2018 VFL season. 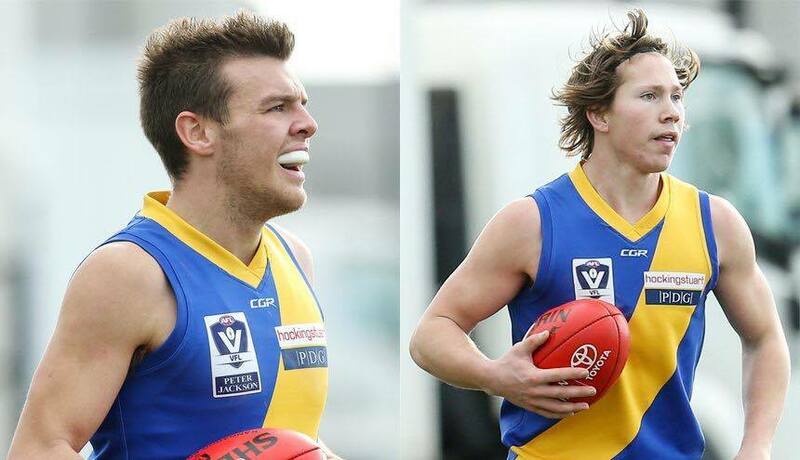 Promising young midfield pair Lachlan Bramble and Fletcher Carroll have re-signed with the club for the 2018 VFL season. 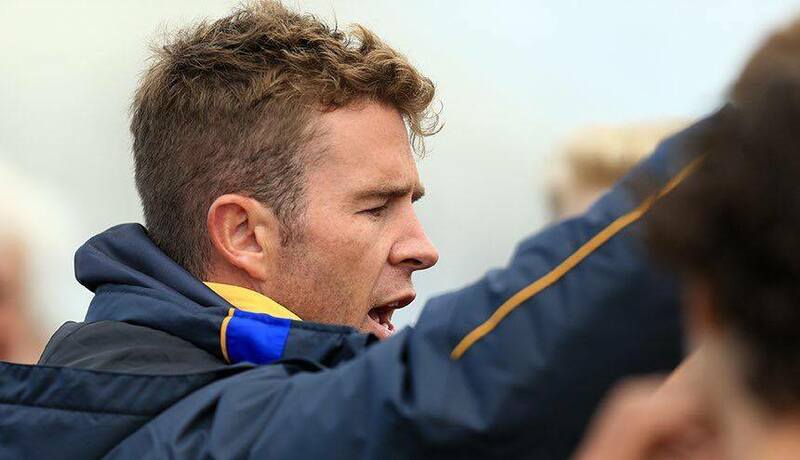 Williamstown Football Club are taking applications for Forwards - Line Coach for the 2018 VFL season. 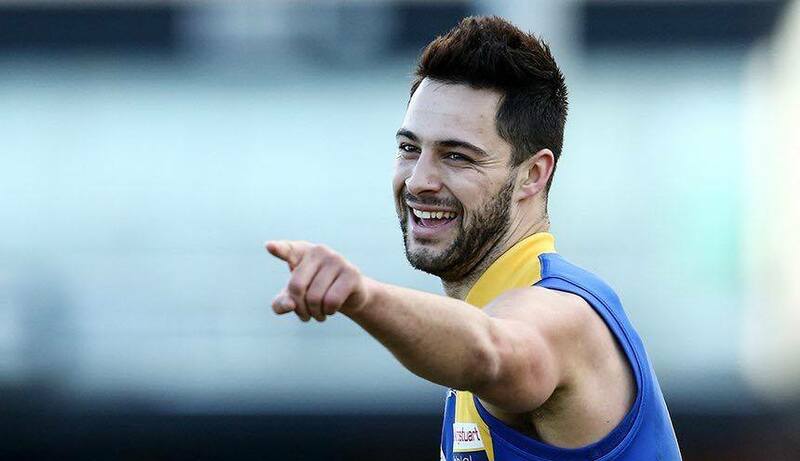 Star midfielder Michael Gibbons has put pen to paper, keeping him at the club for the 2018 VFL season. Williamstown Football Club's partnership with Victoria University is providing great industry based learning experience for students. 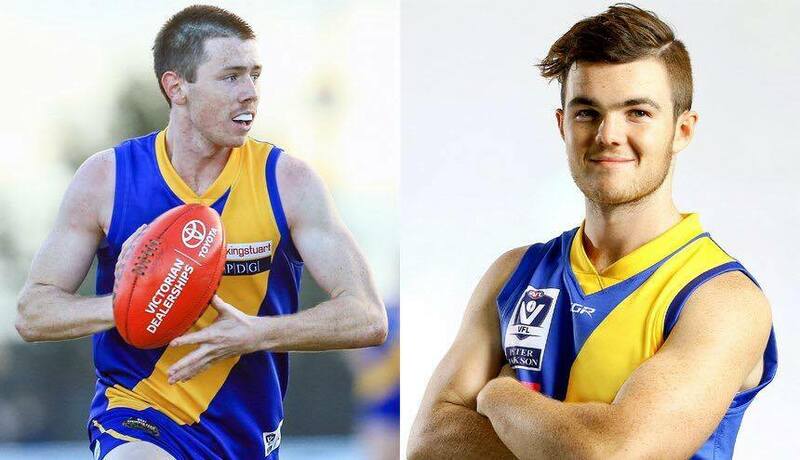 Ex-Frankston pair Josh Pickess and Daylan Kempster have re-committed to the club for the 2018 VFL season. 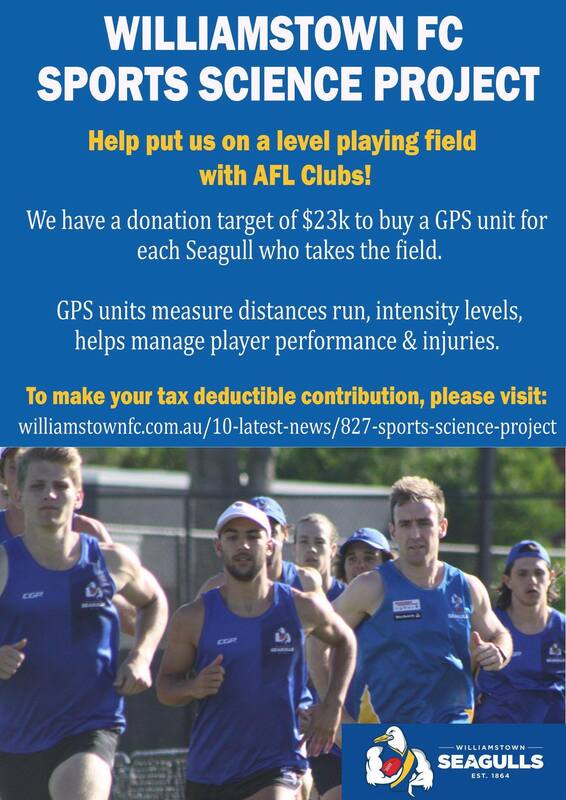 The Club is looking for tax-deductible donations to help fund a Sports Science Project to keep the Club on a level playing field with AFL Clubs.. 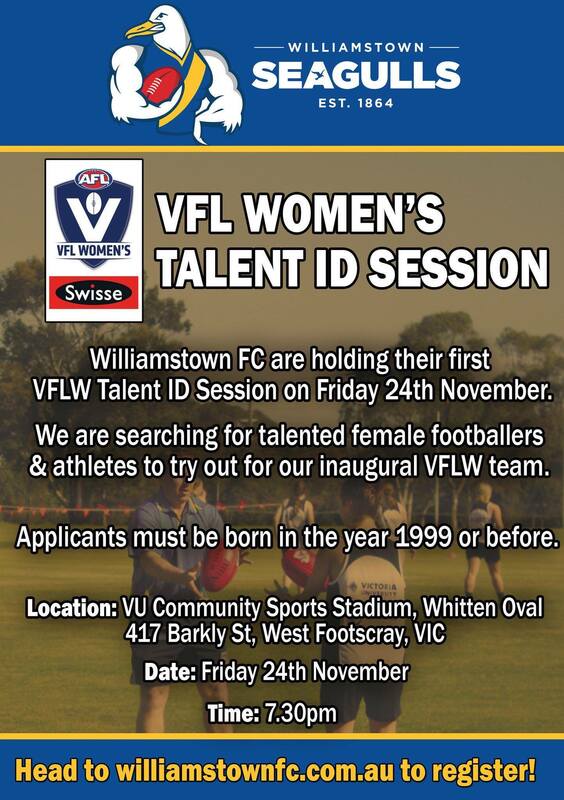 If you think you have what it takes to play in the highest level of women's football in the state, register for our VFLW Talent Identification session. 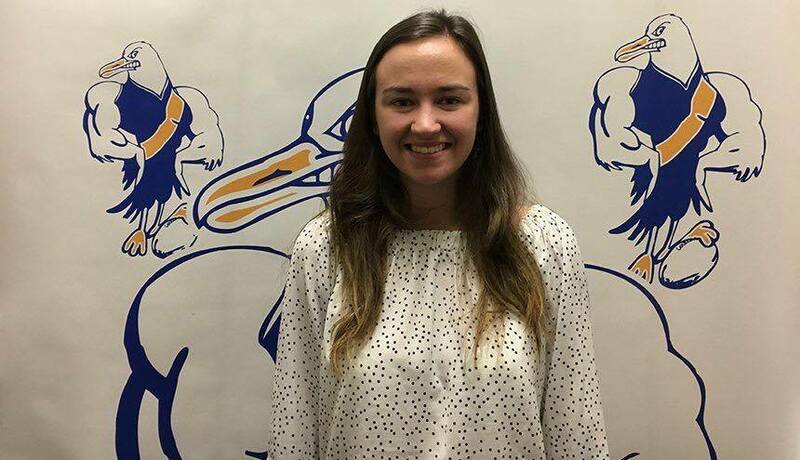 Williamstown senior assistant Clay Illman is continuing his development as a coach, after being accepted into a Level 3 coaching course.